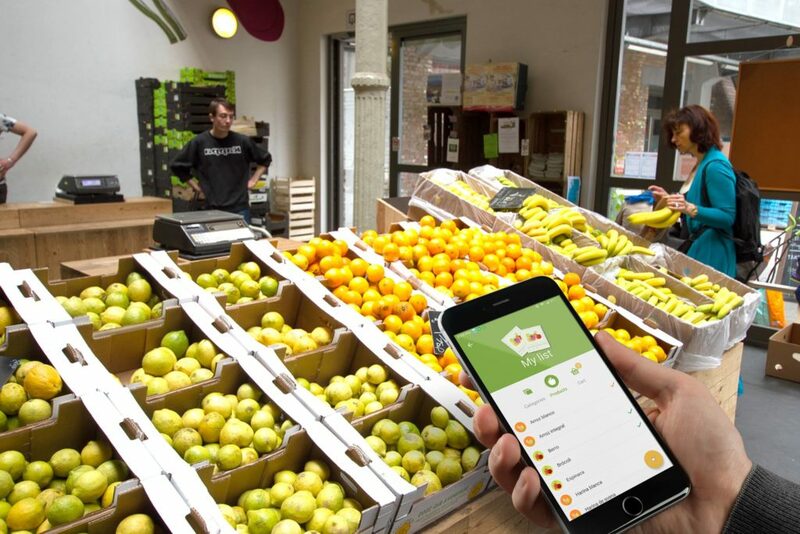 During our research of family farms in Belgium, we found there was a need for local food producers to better reach consumers, this is why we created the Fresh Data Network. 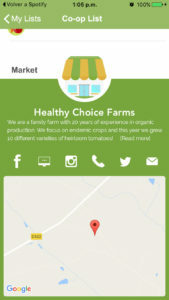 Our app allows consumers to map out their grocery list, finding locally-produced food near them. We give users all the information to make food choices that support a healthy lifestyle, contribute to thriving communities, and reduce the carbon footprint of each grocery basket. The Fresh Data Network is still in beta form and we are very excited to share our vision for local food with you. As you download the app, you can start playing with the different functions to figure out how it works, however until we have a user-base in your city there may not be information from local-food providers just yet. We are working on growing our network, but more than anything we are excited to have new users who are passionate about local food to help us in that process! Create a shopping list with our easy-to-use drop-down menu, and use the filter function to select exactly what type of produce you’re looking for (e.g. organic, within 5 km, etc.). Once you have a list put together, the app provides a series of markets ranked by proximity to you, and how much of your list they can provide from local producers. You can switch to view these markets in the map as well, giving you a visual idea of the options available near you. Based on your location, you can browse all of the Fresh Data affiliated producers and markets. Play with the distance filter to find something right in your neighborhood or to assess your options across the city. As you build your lists, the app calculates a carbon footprint based on the distance your goods have traveled. In the analytics section, you can see which items have the biggest carbon footprint, and track your purchases over time. How does information get onto the Fresh Data Network? Our data is entirely crowdsourced, which means that users generate the data. Producers and markets create accounts to upload the goods that they have available, where you can buy their produce, and what methods they use. This gives local-food providers the opportunity to really connect with consumers, making our food system a little more social. Once their account has been created, producers and markets can update their available products anytime, so you get up-to-date information in the app. We are excited to watch this project grow, and most of all for you to be a part of it! If you want Fresh Data to work even better in your community, feel free to reach out to us. And if you have a favorite local market, grocer, or producer, don’t forget to let them know about Fresh Data so they can become a part of this growing network of local food champions. Interested in the Fresh Data Network? Sign up as a producer a farmer’s market or simply download the app!